Check in below to participate in the Check-in Challenge. 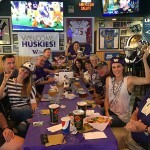 The UW community with the highest percentage of check-ins at the end of the season wins a post-season party pack and bragging rights! 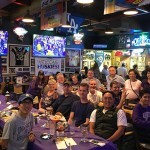 We encourage all Husky fans to check in at each viewing party they attend using the online form. 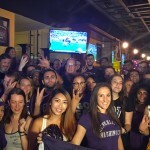 After each viewing party, community Husky Hosts let us know the approximate amount of Husky fans in attendance. We compare check-ins at each location with the estimated amount of attendees and track this percentage throughout the season. After the Apple Cup, the community that has the highest percentage of check-ins wins! 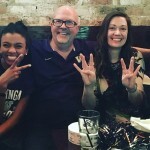 It’s about the percentage, not the amount of Husky fans. This means communities of all sizes are eligible to win. We track only the games your community watches together. Whether you watch a few games or commit to the entire season, every community has the same chance to win.